Moisture is the number one enemy of a crawl space and often goes unnoticed. A damp crawl space can affect the integrity of your floor joists and impact the structure of your home. The first step is to be sure water is properly draining away from your home. Next, insulate and air seal your crawl space to further help the space remain dry. Damp environments create ideal living conditions for pests. Wet or damp wood framing provides an excellent food source for termites and other insects. Air sealing and insulating your crawl space helps close access points to your crawl space. It also reduces moisture – one of the factors that draws in pests in the first place. Your home naturally breathes. Airflow in a home goes from the ground, up through the house and out through the roofline. If your home is on a damp crawlspace, that damp air (and everything in it) is drawn up through the home and into the air you and your family breathe. Air sealing your crawl space keeps that air below your home and out of your indoor air. Need one more reason to insulate and air seal your crawl space? An unfinished crawl space affects your monthly energy bills. An unsealed crawl space can lead to uneven temperatures between rooms as well as high heating and cooling bills. Insulating and air sealing your crawl space can help keep your home comfortable and save money on monthly energy bills. 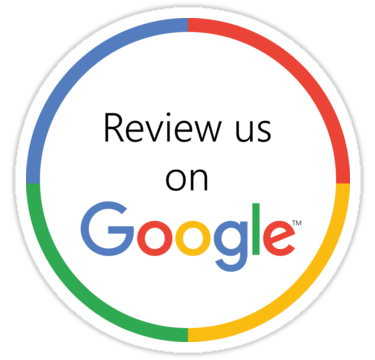 If you have questions about your crawl space, contact our office. 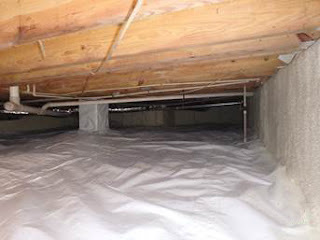 We are happy to provide an estimate to insulate and air seal your crawl space.